My father-in-law Gerald Alters enjoyed a long and successful career as a composer, arranger, orchestrator, and accompanist starting in the late 1940s, working alongside such entertainers as Chita Rivera, Barry Manilow, Bonnie Franklin, and Arthur Godfrey. From the late 1960s, he focused his creative energy on advertising, penning jingles and soundtracks that not only paid the grocery bills, but subsidized family ski trips and his kids' college educations. 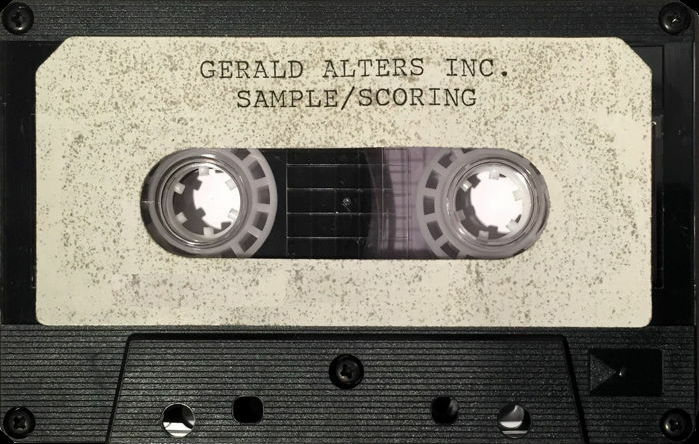 Much of that work probably survives on quarter-inch reels scattered far and wide, never to be heard again, but residing in Karen's record and tape collection is a demo cassette that Gerald recorded in the 1980s, exhumed here for your listening pleasure. 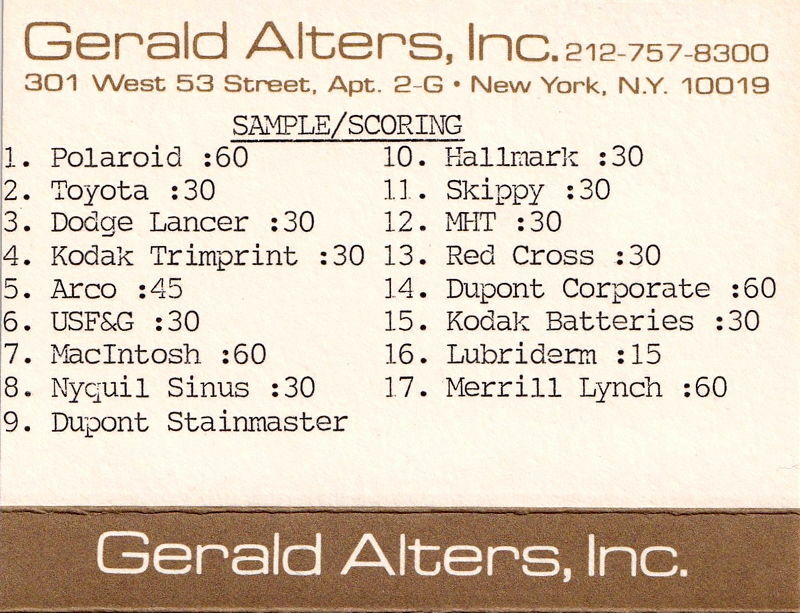 These musical miniatures are paragons of craftsmanship that testify to Gerald's compositional finesse and wit, and liberated from their commercial raison d'etre, they attain the status of postmodern works of art, in all their ironically referential glory. (If the audio player does not work in your browser, you can download or stream the mp3 file here). Since this music was composed for hire, copyright resides with the clients who commissioned it. Therefore, I've obscured the names of those accounts in order to throw off any legal bloodhounds who might be sniffing out potential infringement lawsuits, but I can tell you that the roster of advertisers included automobile and pharmaceutical manufacturers, financial institutions, and assorted other monuments on the American corporate landscape.